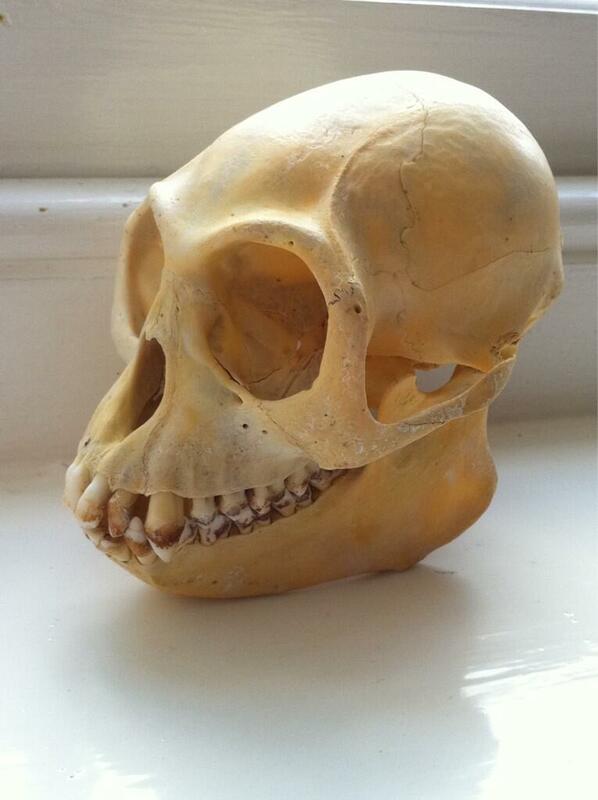 This week I have a skull for you to have a go at identifying that has been submitted by Dr Ben Swift. Any idea what species this belongs to? 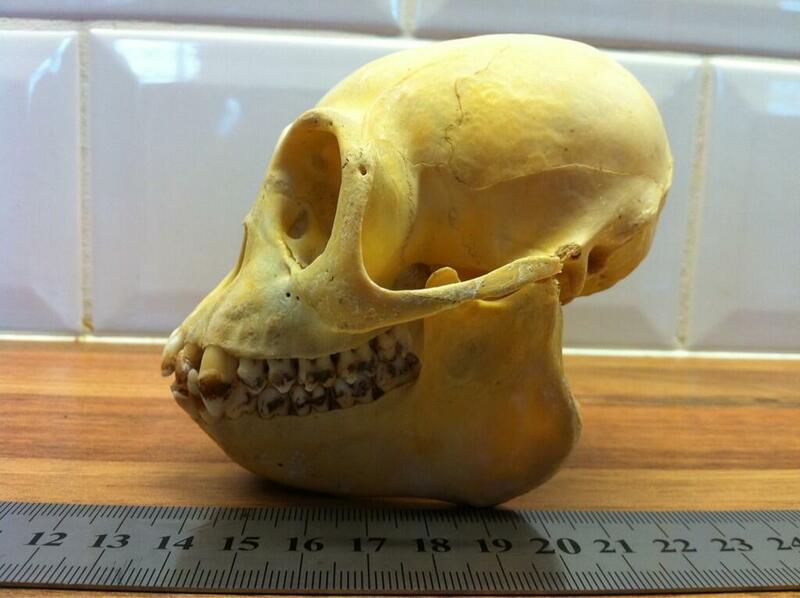 I’ll be trying to get an identification on this specimen myself and I’m not the best at primates, so your suggestions and comments would be appreciated – let’s see if we can crowdsource an identification! Hmm, it’s a good suggestion – I’ll follow it up! I think there is another water mammal with distinctive teeth with (almost) the same name as this one. Cripes – that’s a complicated clue, I’ll need to think about it! The bones look unfused; so a juvenile. 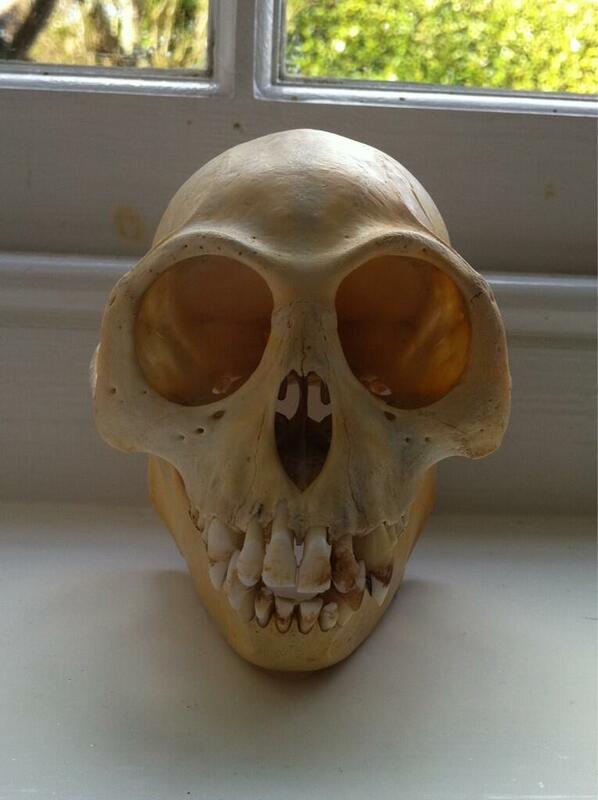 The teeth (2.1.2.3) indicate that it is an Old World Monkey. Looks quite like something from the Colobinae subfamily; perhaps a Colobus or Langur? I don’t think it’s juvenile – the fusion isn’t complete, but there are good muscle scars and lots of calculus on the teeth, so I think it’s probably a youngish adult. Based on the limited number of images I can find for comparison, I think it may be T. auratus (also known as T. maurus (Horsfield, 1823); common names: Ebony Leaf Monkey, Javan Langur, Javan Lutung). Originally I was gong to propose a Pygathrix sp., but I think henstridgesj’s suggestion of some kind of Trachypithecus looks closer to the mark.